ABC News Network | © 2019 ABC News Internet Ventures. All rights reserved. What Would You Do? What Would You Do? Prince Harry, Duke of Sussex and his wife Meghan, Duchess of Sussex walk down the west steps of St George's Chapel, Windsor Castle, in Windsor, on May 19, 2018 after their wedding ceremony. 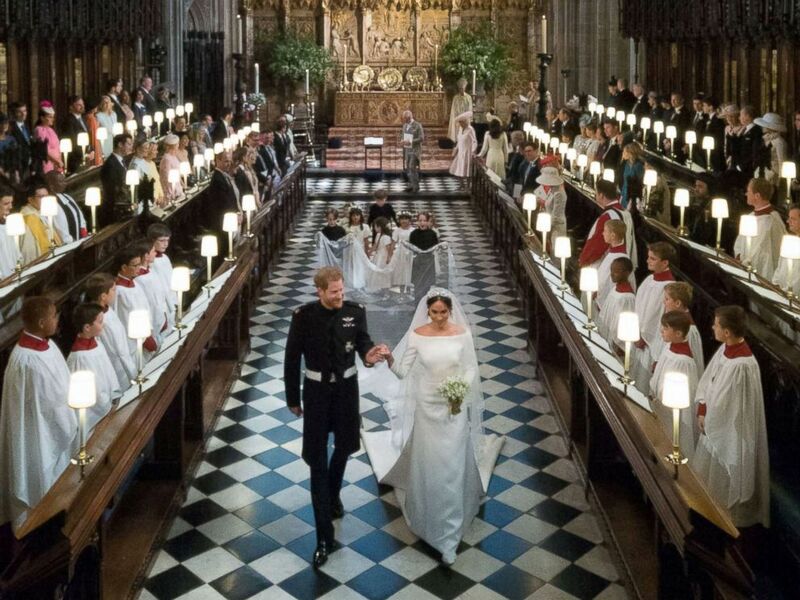 Millions around the world watched as Meghan Markle tied the knot with Prince Harry last Saturday, walking down the aisle of St. George's Chapel in a custom gown designed by Givenchy's first female artistic director. Add Royal Family as an interest to stay up to date on the latest Royal Family news, video, and analysis from ABC News. The day also marked the big reveal for the fashion world -- after months of anticipation and speculation -- of the wedding dress and designer Clare Waight Keller. 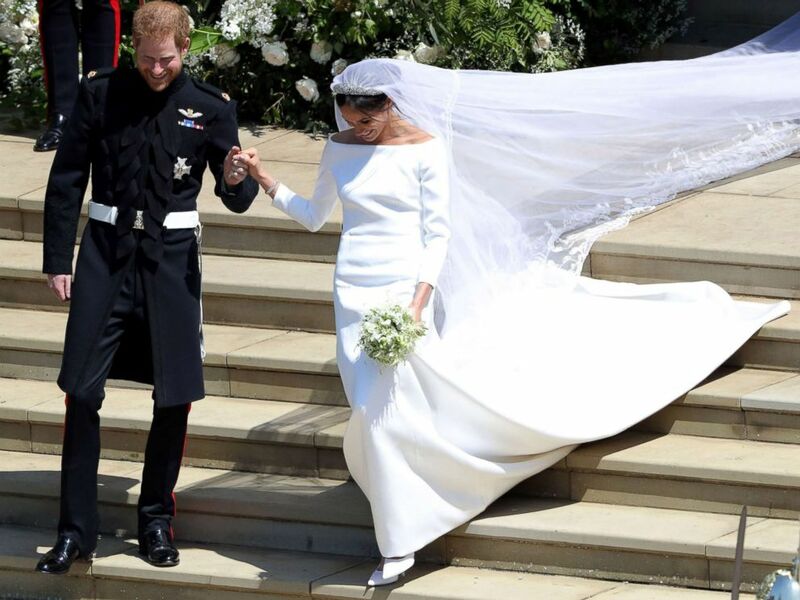 Keeping the secret of who would design the royal wedding gown under wraps was no easy task, according to ABC News' royal contributor Omid Scobie. 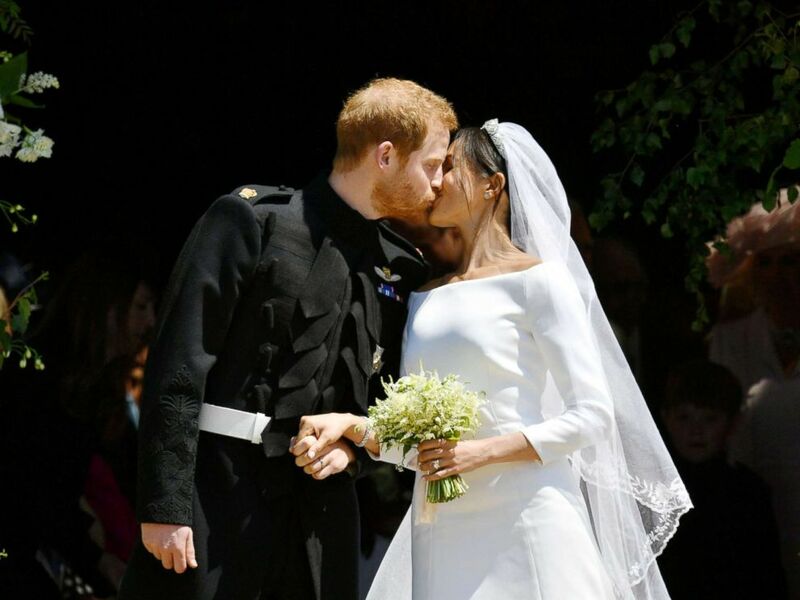 Prince Harry and Meghan Markle kiss on the steps of St George's Chapel in Windsor Castle after their wedding, May 19, 2018. Markle, who already had a stash of bridal dress "inspo" pictures saved on her phone from Instagram, Pinterest and elsewhere online, began her search for a designer at the urging of her best friend, Jessica Mulroney, according to Scobie, who revealed details of the dress selection process in a Harper's Bazaar article. Markle, now the Duchess of Sussex, already knew what she wanted in her wedding dress: something timeless, elegant and appropriate, Scobie added. While many designers threw their names in the running to be picked by Markle to design her dress, Waight Keller had been a favorite since the beginning. The designer and bride to be met just before Christmas, Scobie said, and Markle immediately liked what she saw. Prince Harry, Duke of Sussex and his wife Meghan, Duchess of Sussex emerge from the West Door of St George's Chapel, Windsor Castle, in Windsor, on May 19, 2018 after their wedding ceremony. After Markle officially chose Waight Keller to create her dress, the designer had to keep it a secret from everyone, even her own family, until the wedding day. Mostly through discreet texts and phone calls, Markle and Waight Keller went back and forth on designing the dress before two teams signed nondisclosure agreements and got to work on it at Givenchy's Paris headquarters and an undisclosed London warehouse, according to Scobie. Prince Harry and Meghan Markle leave St George's Chapel at Windsor Castle after their wedding in Windsor, May 19, 2018. Creating the iconic dress "was all about keeping the secret," Waight Keller said. 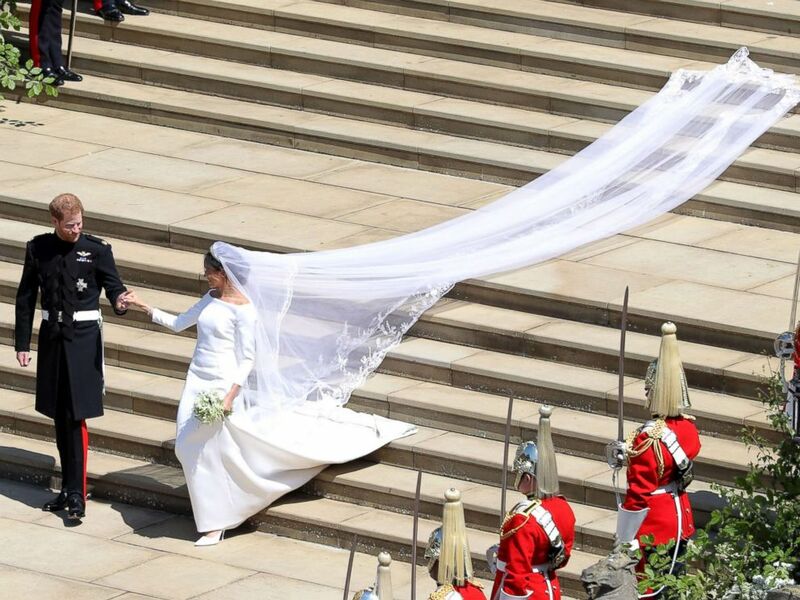 Hundreds of hours of meticulous stitching later, the finished gown was transported to Windsor Castle for a final fitting in May and was revealed to the world last Saturday. Keller called the royal wedding a "dream day" in a post on Instagram. A Dream Day accompaning stunning #meghanmarkle on her journey to become the Duchess of Sussex in @givenchyofficial #hautecouture #royal #bride #love ?? Waight Keller also told the press that Prince Harry thanked her for designing the dress for his bride. "He came straight up to me and he said, 'Oh my God, thank you! She looks absolutely stunning,'" Waight Keller recalled. "Well, I think everybody saw on television -- he was absolutely in awe, I think. She looked just incredible and it showed." Customize your news feed by choosing the topics that interest you. Who is Democratic presidential candidate Seth Moulton?